Nutrition in a bowl! A soup for everyone and every body. Each Soups To Live For soup is packed with 8-10 locally grown vegetables. Free of allergens. Soups To Live For are 100% nightshade free(? ), dairy free, and most are gluten free and vegetarian. They contain no MSG, no artificial flavours, colours, preservatives, or any other additives. Instead of flowers, bring soup! A Soups To Live For soup is the perfect gift for a sick friend or family member, a new mom, or an elderly person – anyone in need of a nutrient-rich meal that is easy to digest. Soups To Live For are available for Special Events. 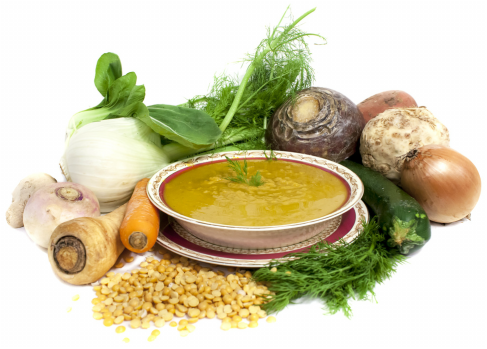 To preserve nutrients, Soups To Live For are sold fresh-frozen.